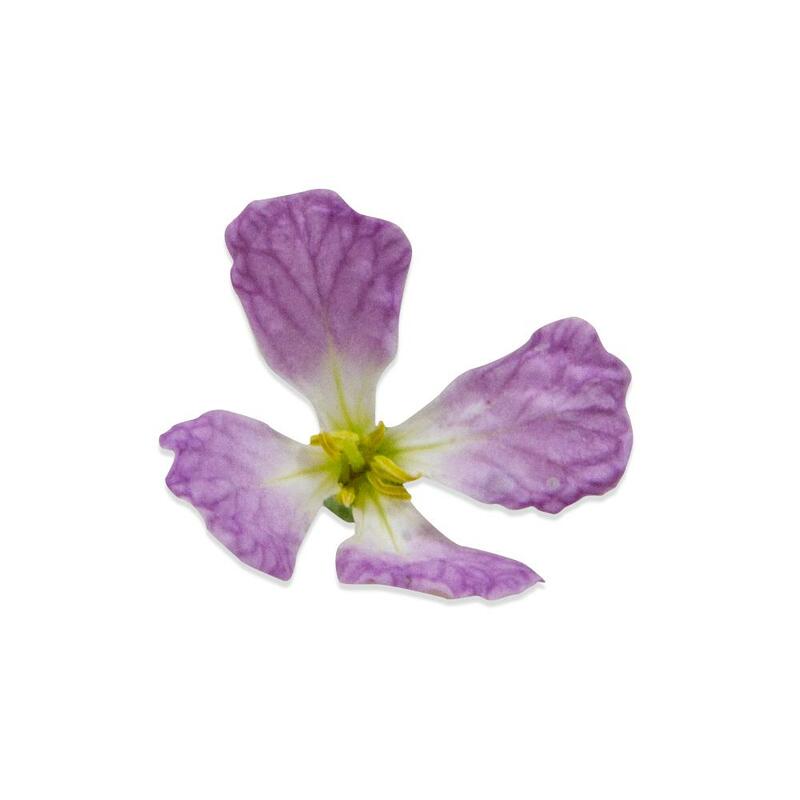 Edible radish flowers are light, delicate blossoms with a similar shape and texture to arugula blossoms and a faint radish flavor. Each flower has four long petals that are a mix of white and purple and four yellow stamens in the center. Each blossom is approximately 1” wide, with a short length of thin green stem attached. Store Radish Blossoms in their clamshell in your refrigerator. 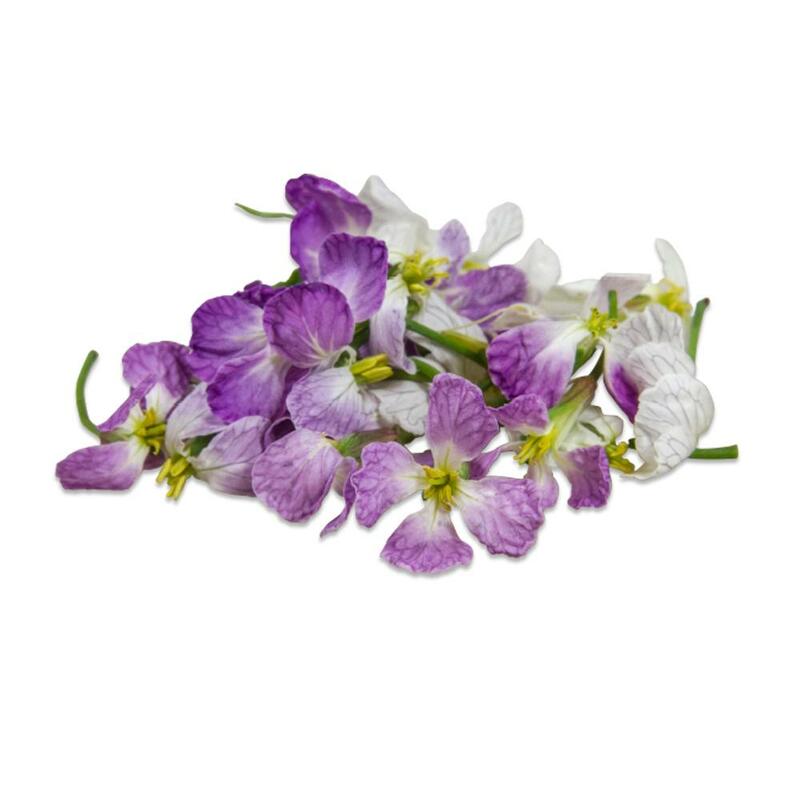 Radish flowers have a mild flavor that allows them to be used on all sorts of dishes. However, because they are ever so faintly radish-y, they are best used on savory dishes instead of sweet ones. Try using them as a garnish for seafood, salads, meat dishes and more.